While writing an application from scratch coming up with the right architecture for it holds great value. It usually depends on the scope of the application. For instance, if it’s a small scale application with a limited scope then going with an architecture which is scalable would be an overhead. 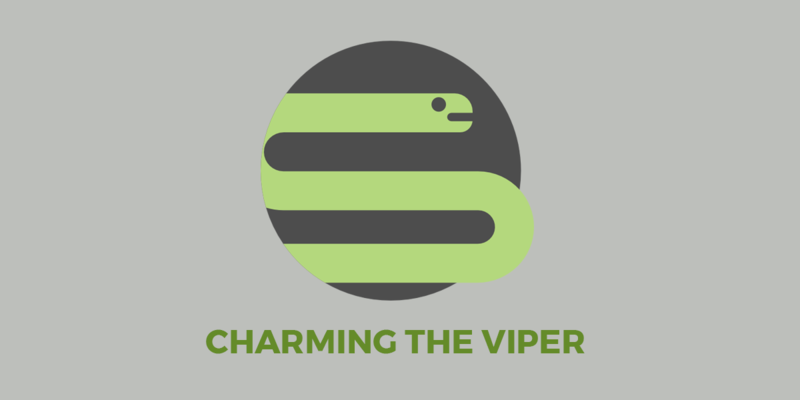 VIPER is a flexible and scalable architecture that works on SOLID principles. It supports the theory of Clean Architecture that also emphasises on having the app’s structure divided into multiple layers. In VIPER, responsibilities are segregated and broken down into separate components. View: In simple words, View Controller is your View. It interacts with the Presenter and it tells the View what to show and what not to. Interactor: It is where all the business logic resides. It interacts with the Presenter to and fro for any updates that a Presenter requests. It also interacts with Entities for any data. Presenter: It acts as a gateway between all the components. It communicates with Interactor for the data, with View for actions and updating, with Router for routing to screens. Entity: It’s just a fancy term for a data model. It may also contain data sources or repositories. Router/WireFrame: It’s sole purpose is to hold all the navigation logic. To get a better grasp on it. Let’s understand it by an example. To follow along, clone or download the sample project from here. Don’t let this bother you. Let’s get cracking with some code now. The app is simple. You can add/edit/delete any task in it and by tapping on the cell view the full details on the next screen. First create a new group under TaskLogger -> Entities. Inside Entities, create a file and name it as TaskItem. The model consists of a title and its description which is optional for an specific task. This class maintains an array of TaskItem for a session. Let’s now work on adding and displaying some tasks in the list. Create a group and name it TaskList. Under that create a group and name it Protocols. Inside it create a file and name it TaskListProtocols (TaskList->Protocols->TaskListProtocols). And paste the following code in it. Create three more groups inside the TaskList group. Naming them: Interactor, Presenter, and Router with files inside named TaskListInteractor, TaskListPresenter, and TaskListRouter respectively, and also create a group View under TaskList and move your TaskListViewController under it. The purpose of creating these files is to implement all the protocols written in the TaskListProtocols file. Before going any further. Let’s understand the difference between TaskListPresenterToInteractorProtocol and TaskListInteractorToPresenterProtocol. TaskListPresenterToInteractorProtocol is the Presenter asking the Interactor to do something. For instance, save a task or fetch the list of tasks. Whereas, TaskListInteractorToPresenterProtocol is the Interactor informing the Presenter back that it has done its part. //1 – Object for Interactor to inform back to Presenter. //2 – Object and array of all the tasks shared across the app using a single object. //3 – Sends all the tasks to Presenter. //4 – Saves a tasks. //5 – Updates a task on a certain index. //6 – Deletes a task from a certain index. Open the TaskListPresenter and add the following code in it. //1 – view on which this (TaskListViewProtocol) protocol is implemented to listen to the data changes. The property of interactor here is the one which was implemented above. The reason of creating this property here is to pass data from this Presenter to the Interactor implemented earlier. The router property is for routing from the view assigned to it. //2 – Calls the interactor to fetch tasks. //3 – Tells the router to show a particular task. //4, 5, 6 – Add, update or delete a task using the interactor. //1, 2, 3 – Fetch the latest task, after a change is done. //4, 5 – Update the UI. And now in your TaskListRouter. For now this chunk of code simply is for navigating to the detail screen. At this point the Presenter, Interactor and Router are all set up for the TaskListViewController. After seeing all this code and not yet being able to add a task, probably would have made you wonder. Hang in there lad! You’re almost there. Inside your TaskListViewController create two properties. and also add a function. let titleText = alertController.textFields!.text ?? "" let descriptionText = alertController.textFields!.text ?? "NA"
Above function creates an alert controller with textfields and passes the TaskItem to the presenter once Save is tapped. Now inside your @IBAction addTask. It’s time to setup presenter and the rest of the dependencies i.e interactor, view, and router. Call the above method in viewDidLoad. The only reason these dependencies are injected here because this controller is not loaded inside the didFinishLaunchingWithOptions of the AppDelegate otherwise this would have been moved to the TaskListRouter. Don’t get confused this all will make sense soon. You have successfully added your first task to the list. Let’s now look at how the update and delete is done. Add the following method inside your TaskListViewController. Build and run. Since there is no persistence layer so you’ll have to add a task again. Add the same task again first. Then swipe from right to left. You’ll see two buttons Edit and Delete. Tap on Update and you’ll see the change instantly. Test the delete functionality as well by swiping from right to left. Tap on the Delete button and you shouldn’t see anymore task in your list. Let’s now move to the detail screen part. Create a group and name it TaskDetail inside it create groups View, Protocols, Presenter, Interactor, and Router. Furthermore, move the TaskDetailViewController inside the View group and create files TaskDetailProtocols, TaskDetailPresenter, TaskDetailInteractor, and TaskDetailRouter respectively. Your hierarchy should look similar to the one above in the TaskList module. static func getTaskDetailRouter(with task: TaskItem) -> UIViewController? Here there was no need to create an interactor protocol which informs back to the presenter because this screen just shows data and no data manipulation is done here. //1 – Passes the task to the view. //1 – Holds the passed in task. //1 – Returns the object of TaskDetailViewController with all the dependencies injected i.e presenter, view, interactor and the task. Give yourself a pat on the back. You’ve successfully made a TaskLogger app using the VIPER architecture. By the end of this tutorial. You must have a good idea about how VIPER works. You can find the complete source code in the link attached in the start. There are also links to some good reads you should have a look at. If you have any questions or queries please feel free to leave it in the comment section below.